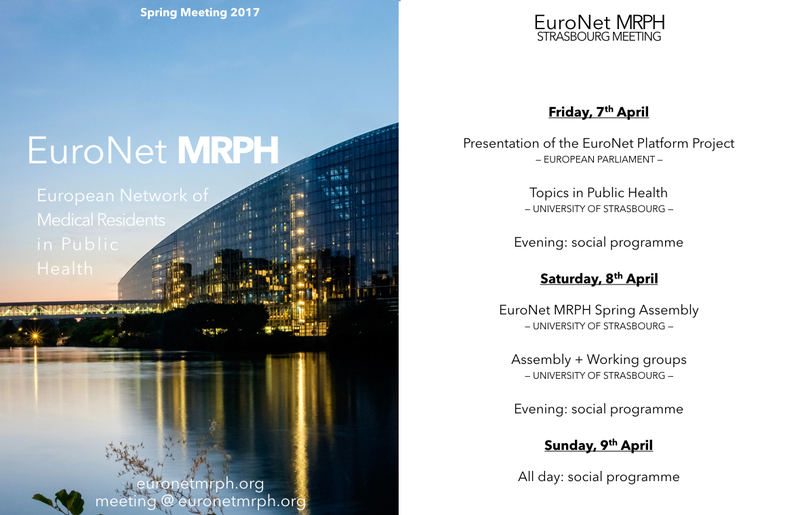 Almost one year on from the Strasbourg meeting, EuroNet MRPH is back in France! The 2018 Spring meeting (occurring disturbingly early in March, from 7th to 10th) was hosted by the beautiful city of Nancy. It was excellently organised by a Nancy local, Hélène Rossinot and the French EuroNet MRPH National Commission, on the theme of prevention and health promotion. The meeting was hosted in the Nancy Museum Aquarium, a natural history museum including over 60 aquariums and a zoology gallery. But, to avoid any fishy business, the sessions were held in the Lucien Cuénot amphitheatre, originally created in 1933 and beautifully restored with the original furniture in 2013. The morning session of the meeting’s first day was dedicated to EuroNet working groups. After an the motivating opening welcome message by our President, Alberto Mateo, the participants split in four working groups. “Promoting Public Health as a career choice” working group was led by Damir Ivankovic. It was mostly a brainstorming exercise on how to promote Public Health among medical students, delightfully sprinkled with philosophical insights. Further discussion is needed to determine what role EuroNet could play in this matter, and if this should be formalized with a permanent working group. A second group was led by Matej Vinko, EuroNet MRPH Vice-President, aiming to edit the position paper “On the future of Public Health in the European Union”, as the deadline was that same day. We are proud to say that this was a success. A third group was the “LGBT+ Residents’ Health and working environment” working group, led by Damiano Cerasuolo. It carried on the work already started in Lisbon, during the Euronet winter meeting, by reviewing a questionnaire medical and Public Health residents concerned by this subject across Europe. The last group, led by our communication lead, Gloria Raguzzoni, set up a plan to improve the way we promote our internships and discussed innovative ways of improving our communication channels. The afternoon session commenced with the official inauguration of the meeting, in the presence of local authority head figures. The welcome speech was given by André Rossinot, president of Grand Nancy Metropole, Laurent Hénart, mayor of Nancy, Bruno Boyer from the Conseil National de l’ordre des médecins (National Board of Doctors), Auldric Ratajczak from the Agence Régionale de Santé Grand Est and François Werner who is in charge of the coordination of European policies in the Grand-Est region and vice president of Nancy Metropole. Then followed the round table “Local prevention policies” that saw the participation of François Werner, Auldric Ratajczak and Marie Catherine Tallot deputy mayor of Nancy in charge of health. The talk focused on the strategies set up by the ARS (the local health agency) and the local institutions to promote health projects, addressing main issues and needs of the population. The theme of the second day of the meeting was prevention in hospitals. First, we had the presentation of the “Health Promotion Corner in the Hospital”. Le cercle sens & santé is a “think-to-do-tank”, created in 2014 as an ideas generator and processor. Its goal is to develop better hospitals of the future (www.cerclesensetsante.com). Prevention actor club is an association created in 2014 whose main goal is to transform waiting times in hospitals into recreational time and provide opportunities to promote healthy lifestyles, providing “Health for all” in the hallway. Example of activities included Zumba; yoga and cooking classes in hospitals; monthly activity program; leaflets; a photo booth with the prevention slogan; banners for public health campaign promotion, to name just a few. This project is undergoing a trial phase and will be launched in May at Paris HealthCare Week. We then had a round table with a hospital infection control committee responsible officer, occupational health physician and Nancy’s Hospital manager to discuss the risks of occupational diseases in hospitals and preventive measures. The afternoon was dedicated to the traditional assembly of the association. Lois Murray, from the UK, presented a possible EuroNet partnership with EuroNGOs for sexual and reproductive health and rights advocacy opportunities. It is an organization in which she worked and proposed to be the liaison lead. We then shared ideas for EuroNet participation in World Health Day. Finally, the climax of the meeting was the presentation of the candidacy of Valencia to host the 2018 summer meeting. It was thoroughly prepared by Julio Muñoz, and although he was not present, it is safe to say this performance will be remembered for decades and will inspire future generations of EuroNeters. As part of the social programme, we had the chance to explore the beautiful city of Nancy and discover a bit of its rich history. The main square is the famous Place Stanislas, sometimes humbly referred to as “the most beautiful square in the world”. It is named after Stanisław I Leszczyński, former Ruler of Polish-Lithuanian Commonwealth (and father-in-law to King Louis XV of France), who acquired the Duchy of Upper Lorraine, of which Nancy was the capital, after the War of the Polish Succession in 1737. On the first evening, we were invited to a typical French restaurant called “Vins et tartines”. We tasted different kinds of toasts and local wine. We were also encouraged to taste some local whisky, and a liquor of a fruit called “Mirabelle” (which literally means “beautiful to see” by the way). Damir pointed out that this schnappsy liquor with a fancy name is basically what they call šljivovica in the Balkans, which is not considered fancy at all. After that, the whisky/liquor-resilient comrades went to wander around to experience Nancy by night. The second evening took place in another typical French restaurant, where we had the chance to taste some fine cuisine. Despite a poultry problem, it was a very nice experience. As the night was still young, most of us went out once again to enjoy Nancy by night. There was music, there was fire, and people danced like they got out of jail, together in a beautiful communion of the nations! To conclude, it was once again a wonderful meeting, thanks to Hélène and the French National Commission, for all the organisational efforts, thanks to the welcoming people of Nancy and thanks to the wonderful residents who attended it! EuroNet Spring Meeting will take place in Nancy from 8th to 10th March! The main theme will be prevention. Join us and discover the many ways of promoting prevention policies! On the first day, we’ll start by our working groups. Then, the official inauguration will take place at 13.30 (don’t miss it, there might be surprises!). Afterwards a round table of experts will discuss local prevention policies in a city. How do a metropolis, a city, a regional health agency all interact to develop prevention policies on a territory in France? Then you’ll see two examples of prevention projects, lead by different actors: a company and an association. On the second day, we’ll talk about prevention in hospitals. How to educate patients? But also, how to reach healthcare professionals with prevention? In the afternoon, a very exciting part: a member of the French parliament will talk about France’s view on Europe and public health, on how to develop a social Europe and how to better European health policies. Then two members of the ETHIK IA group of reflexion (a national group of experts on Artificial Intelligence) will discuss the impact of big data and AI on the future of Public Health in Europe. Finally, Saturday will be of course our traditional EuroNet day. You like the program? You’ll like the social events even more! From typical French breakfasts (hello baguettes and croissants), to lunches in typical restaurants, your stomach surely will be happy! So stop hesitating, fill in the registration form and book your flight/train right now! 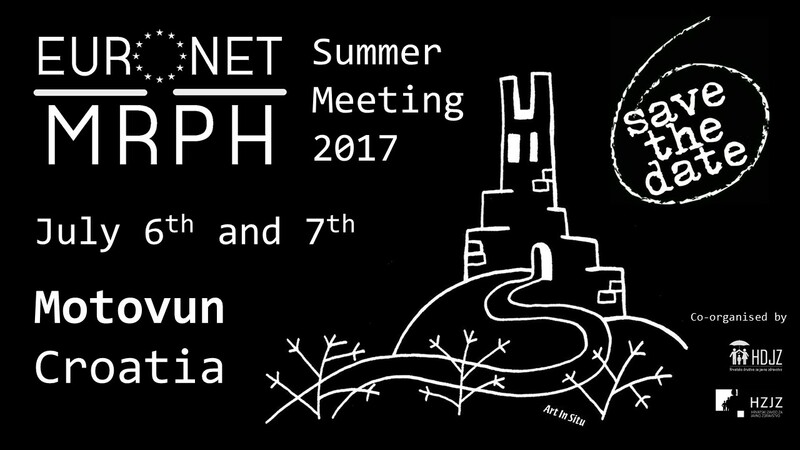 Here you are the registration form for the Summer meeting to be held in a small and beautiful city of Motovun in the region of Istria, Croatia. Dates are 6th and 7th of July. Ideally you should arrive on 5th and leave on the 8th. This meeting will be coupled with Croatian National PH conference, an excellent opportunity for exchanges, to create new connections and have new ideas. Did we mention this conference is a bit “unique”? Official dress code is “shorts”. Strictly no ties allowed. There is a man with scissors going around the city and cutting ties. We kid you not. Oh yeah, the place is really beautiful, food and wine are amazing and the weather will be perfect. Other info (travel, accommodation, meals, draft programme) will be available soon on this page! 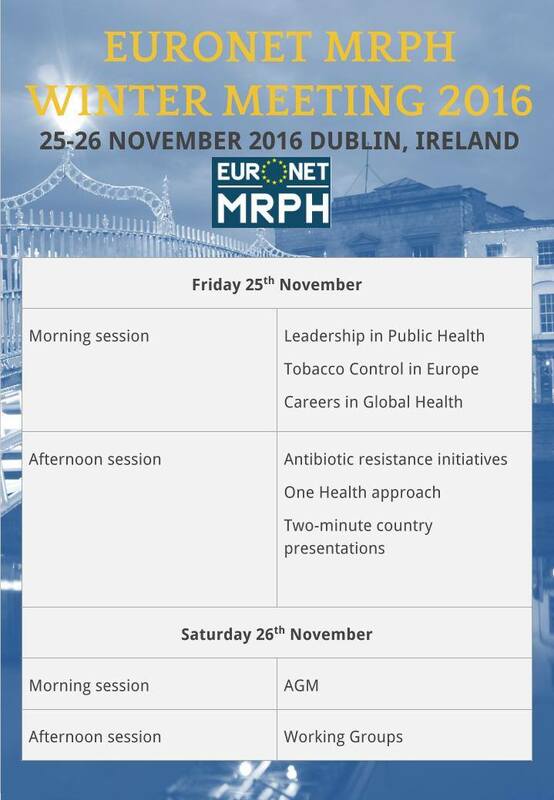 Do not hesitate to contact your national team or to send an email to meeting @ euronetmrph.org and to fill in the registration form and join our Facebook Event! Can’t wait to see you in Motovun! 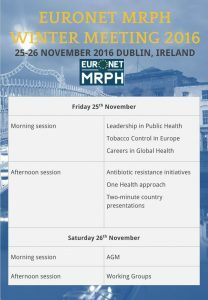 Euronet MRPH Spain has the pleasure to welcome you in Barcelona from November 20th (Friday) to November 21th (Saturday). 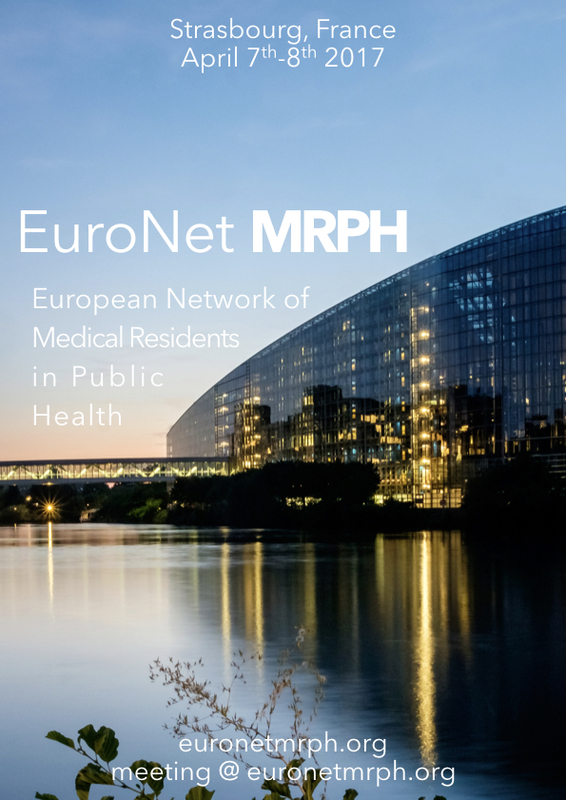 Our next EuronetMRPH meeting is taking place in Barcelona, 20-21ST November 2015. The meeting is located in the wonderful Ciutadella Campus, between the Ciutadella Park and the Mediterranean Sea! You will find a map in attached file: WinterMeeting2015BCN. You can attend at the meeting as an observer. Ask to your Country’s delegation for further informations! Our next EuronetMRPH meeting is taking place in Milan, 21ST March 2015.